Taxes are due April 15, which means it’s time to start gathering your W2s, 1099s, child care receipts and bank statements. But before you sit down with your accountant, it’s important for you to know that merely owning a home could mean you qualify for tax breaks. In most cases, you need to itemize your taxes in order to take advantage of these deductions. Yes, it makes the tax-filing process seem impenetrable, but the benefits may outweigh the complications. Take a look at your closing statement; one item that’s generally listed there is home mortgage interest. On a mortgage of up to $1 million, you can deduct the interest that you pay at settlement if you itemize your deductions on Schedule A (Form 1040). This amount should be included in the mortgage interest statement provided by your lender. Did you pay points in order to obtain your home mortgage? These fees are included on the income tax deductions list and can be deducted as long as they are associated with the purchase of a home. If you refinanced your home, these points are still deductible, but it must be done over the life of the mortgage. As long as they are based on the assessed value of the real property, you can deduct your state and local property taxes. However, if your money is being held in escrow for the purpose of paying property taxes, you cannot claim this deduction until the money is actually taken out of escrow and paid. If you do this, check your Form 1098 for the amount you may deduct. Be aware that if you receive a partial refund of your property tax, the amount of the deduction you can claim will be reduced. If you sold a home in the past year, you may be able to reduce your income tax by the amount of your selling costs. These costs can include things such as repairs, title insurance, advertising expenses and broker’s fees. The IRS only allows the deduction of repair costs associated with selling if the repairs were made within 90 days of the sale. It’s also crucial that the repairs were made with the intent of improving your home’s marketability. Selling costs are deducted from your gain on the sale. If you use a portion of your home exclusively for the purpose of an office for your small business, you may be able to claim a deduction on your taxes for costs related to insurance, repairs and depreciation. You may only claim this deduction if the space within your home is used exclusively and regularly as either your principal place of business or a place where you meet and deal with customers or patients. You may also be able to take advantage of this deduction if a portion of your home routinely is used for storing items (product samples, inventory, etc.) used in your business. In tax year 2010 (the most recent year for which figures are available) nearly 3.4 million taxpayers claimed the home office deduction. You may be able to deduct the premiums paid for private mortgage insurance for your principal residence and for a non-rental second home. The deduction begins to phase out once your adjusted gross income reaches $100,000 ($50,000 for married filing separately). In general, you can deduct the premiums paid for the current tax year only. A qualified tax adviser can provide information about rules for mortgage insurance provided by the Federal Housing Administration, Department of Veterans Affairs and Rural Housing Service. If you’ve taken out a loan to make improvements on your home, you may be able to deduct the interest on this loan. Qualifying loans are those taken out to add “capital improvements” to your home, meaning the improvement must increase your home’s value, adapt it to new uses or extend its life. New carpeting or painting are not considered capital improvements, while adding a garage, installing a water heater or building a deck are all examples of capital improvements. If you take out a construction loan to build a home, you may qualify to deduct the interest. The IRS only allows a deduction for mortgage interest if the loan relates to a “qualified” home, which means it must either be your principal residence or a vacation home that you will use for personal purposes. You can only use this deduction for the first 24 months of the loan, even if the actual construction takes longer. Tax codes can be confusing. 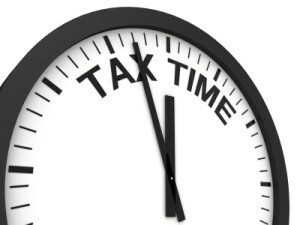 You may want to consult the IRS website for information concerning deductions and credits. Additionally, consider meeting with a professional to ensure you’re not missing any deductions for which you’re eligible.